3 weeks to Essen, and the games keep coming! Plus, The Hunger Games comes to tabletop in an asymmetric strategy board game. If we burn, you burn with us. A two to four player game of heroes, tyranny, and rebellion, Mockingjay is based on the hit Hunger Games series of books and films. The Capitol’s oppression has struck a spark that will burn everything to the ground – will you take up the torch and overthrow their evil, or choke the rebels in their own ash? Featuring asymmetrical gameplay and great miniatures, the game is available on kickstarter now – very reasonably priced too considering all the plastic. File this under crossovers you never saw coming. Beyond Two Castles of Mad King Ludwig is a mashup of Beyond Two Cities and Castles of Mad King Ludwig. The former is a city building game where you must work with the player on your left and right, and the latter is a castle building game where you lay out odd shapes in order to appease the king. 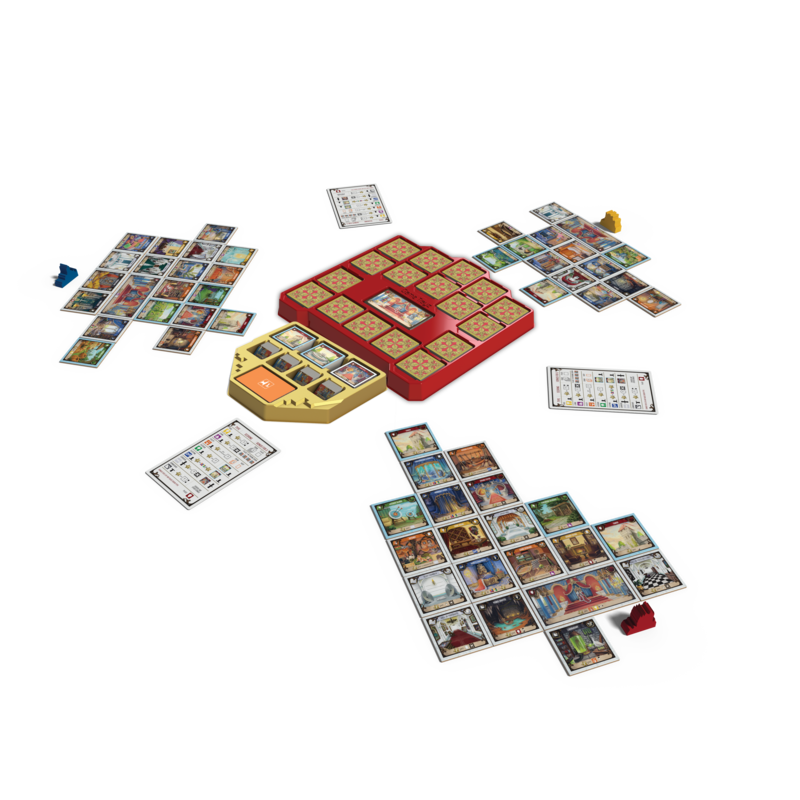 A game of creative castle creation for up to seven players, BTCoMKL is available for pre-order now in our store. Vital Lacerda has been having a busy year – between a heist game, a Mars game, and the second edition of the game that put him on the map, CO2. The beautiful game of companies and carbon is back in Second Chance, a redesign of CO₂ that streamlines the gameplay and the balance, increases the component quality, and speeds up the game – AND adds co-operative and solo play! 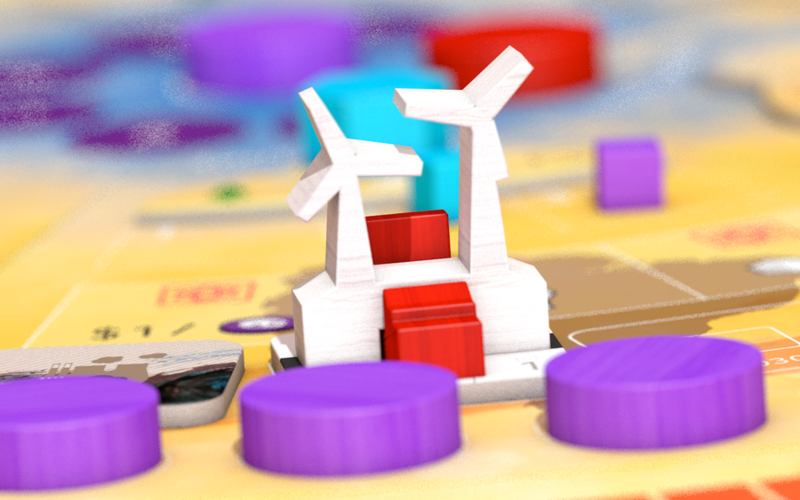 In CO₂, each player is the CEO of an energy company responding to government requests for new, green power plants. The goal is to stop the increase of pollution, while meeting the rising demand for sustainable energy — and of course profiting from doing so – all while lowering the CO₂ levels before the earth is completely doomed. 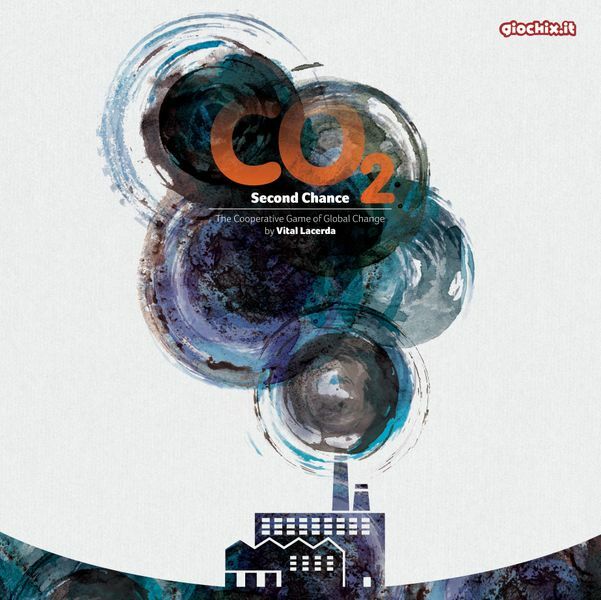 You can pre-order your copy of CO2 Second Chance now from our store. Cosplayers call to arms in Weapon Wars, a quick playing card game of nerf and turf. Spin up your guns and get ready to do battle in this small box card game. From designer Scott Almes of the Tiny Epic series comes Lovelace and Babbage, a game about the dawn of computing. Step into the subroutines of the first programmers and make sure your computations and components compute. 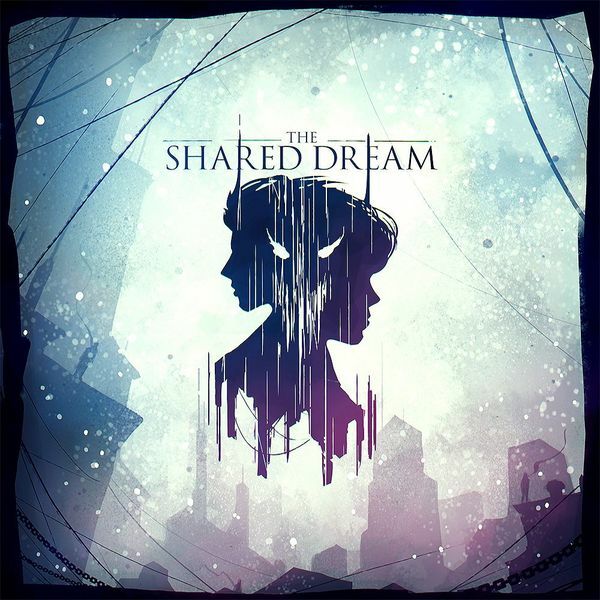 We’ve covered The Shared Dream before, and the reprint is on Kickstarter now. A co-operative fantasy/sci-fi adventure game, play scenarios through a modular city with haunting and gorgeous visual flair. In case you missed it, we did a whole spotlight feature on the titles that Czech Games Edition will be releasing at Essen – including new party games, fantasy word puzzles, XXL codenames, and our personal pick – the team play expansion for Adrenaline, which amps up the mayhem and makes the game faster overall. Check out the games!